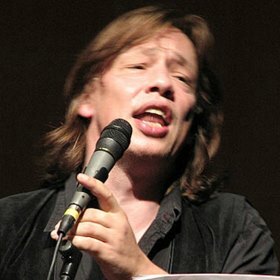 The 14th KlezMORE Festival Vienna awaits its audience with a comprehensive program, as always knowledgeable and committed by Friedl Preisl. 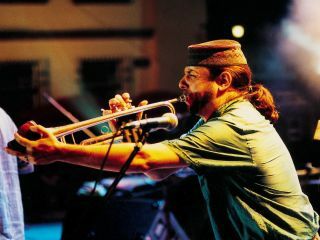 Beyond any arbitrariness, the KlezMORE Festival is once again a diverse offer for cosmopolitan, culturally interested people living in Vienna, which are confronted with the limited and defamatory pettiness of many social forces these days. Hazlóche un broche! (hazlacha = happiness and b'racha = blessing) - that is, incidentally, the origin of the expression Hals- und Beinbruch = break a leg = good luck! 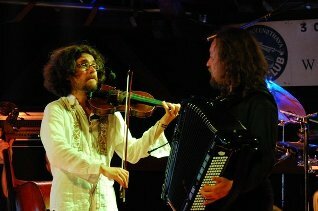 Veretski Pass and Joel Rubin have re-imagined, re-composed and re-arranged old urban and rural music to enrich the genre currently known as „klezmer music“. 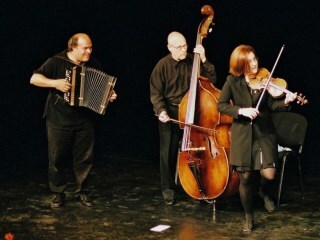 A meeting point of Jewish and Polish music, a missing link of the ongoing klezmer revival. 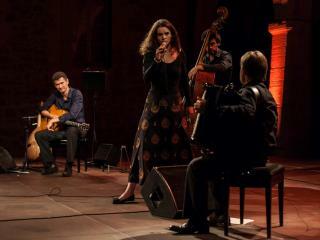 Noëmi Waysfeld and Blik are looking towards the East, to the songs of the shtetl and the heart-wrenching ballads of Siberian prisoners. The band manages to steer clear of clichés, deconstructing Russian and Yiddish schmaltz, adding subtlety and intelligence to the mix. They bring youthful originality to today’s Eastern European musical styles. Mames Babegenush is the East meeting the North. Strong Scandinavian roots meet the vibrant dance music of Eastern Europe. From the great ambience of Nordic pine trees to images of lively weddings in Romania the music of Mames Babegenush gives a sense of melancholy and ecstatic joy. Eleanor’s Yiddish theater mixed with the band’s klezmer insanity under Frank’s „Mad Scientist“ leadership create a program that cuts to the heart. Unknown to classic Yiddish party anthems, theater songs, political songs and songs of women’s lives. 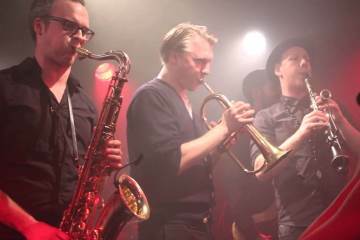 Their first recording together is entitled „Vilde mekhaye“ – „Wild Ecstasy“. 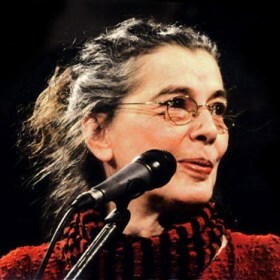 Bettina Wegner, bascially retired icon of German song-craft, meets Karsten Troyke´s inspired interpretation of Klezmer and other world music(s). Further brillance added by guitar player Jens Peter Kruse, Wegner´s long time musical partner of choice. 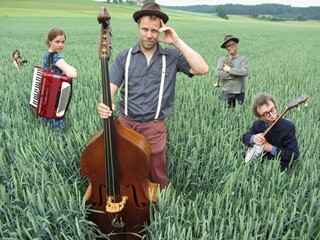 Die Wandervögel excel at finding forgotten songs from the Austrian, German or Jewish traditions and make them their own. Mixing these songs with their own material they never fail to entertain the audience. 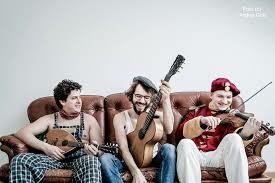 Ladies and Gentleman, let´s welcome the fabulous country of Maldowien and it´s unique musical ambassadors Shmatz! Fluent in all languages spoken in the known (and unknown!) musical universe they have to be heard live to be believed. Best enjoyed with an empathic heart and your best dancing shoes! Dobrek Bistro, Vienna´s beloved „world music travellers“ revisit the material of their album „Dobrek Bistro featuring David Krakauer“. Joined by four clarinet players of high renown they use the compositions to ask some musical questions in their typical playful way. Where does Klezmer end? Where does Jazz begin? What does all of this have to do with classical music? Photo Credits: (1) KlezMORE Festival Vienna (Logo), (2) Veretski Pass, (3) Joel Rubin, (4) Mames Babegenush, (5) Noëmi Waysfeld & Blik, (6) Frank London, (7) Bettina Wegner, (8) Karsten Troyke, (9) Die Wandervögel, (10) Shmaltz, (11) Dobrek Bistro (unknown/website).